Jeff attended Indiana University where he majored in Management and minored in both Marketing and Business. After graduating in 2014, he began his healthcare recruiting career for a national healthcare company. While there, he gained experience with full cycle recruitment, managing employees, and developing relationships with client accounts. 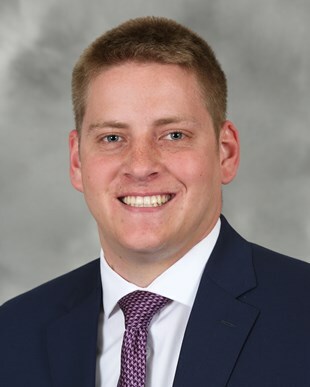 Jeff joined IU Health in 2017 where he assists the Physician and Advanced Provider Recruitment team with projects, sourcing, and interviewing candidates to attract top talent to the organization. “I appreciate being in a role that allows me to assist candidates in finding a career they’re passionate about, while simultaneously having a positive impact on our patients, their families, and community as a whole”. Fun Fact: Whether it’s going to a Pacers’ game or hiking in Hoosier National Forest, Jeff enjoys experiencing all that Indiana has to offer.